Independence Mobility are delighted to announce the launch of a new website. 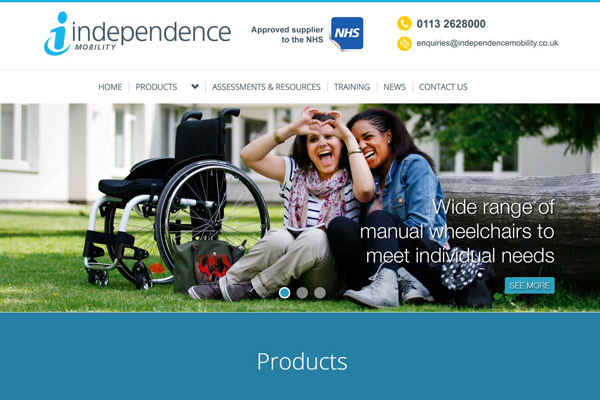 Designed to showcase the wide range of mobility products and support services available from Independence Mobility, the new website features an easy-to-use product module, information on client assessments and a training services section. Ensuring that the website is accessible via mobile devices including SmartPhones and Tablets, the new site has been developed using responsive website technology. This means that website content is automatically reconfigured and optimised depending on the user’s specific device. For more information on mobility products and specialist healthcare equipment from Independence Mobility or to book a client assessment, please call 0113 262 8000 or contact us using the form below.